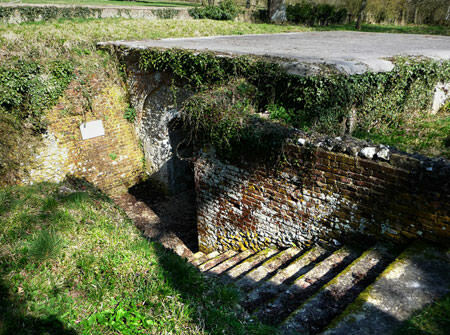 All that remains of St Nicholas church in Chilton Candover is the Norman crypt, which gives it its “Buried” title. The ancient crypt, excavated in 1929, had been a Norman church until in the 12th century a simple but larger church was built on top of it and the original church used as a burial chamber. The 12th century church was pulled down in 1875 and the crypt church was lost until it’s discovery in 1929. A service is conducted at the church once a year to maintain its consecrated status.